The best way to warm up your love is to travel to best places in Vietnam for couples. No need to go far, both of you can have ideal love journey in many suitable places in our country. They can be Hanoi, Hoian Ancient Town, Phu Quoc Island or many more. Below is a comprehensive list of romantic destinations in Vietnam you can visit while visitting Vietnam. Have you experienced Sapa travel? If you have not come yet, let’s take his/her hands and travel to Sapa right now! Sapa with a cool climate all year is named after the city in the mist. Thus, the landscape here looks extremely romantic and suitable for your date. Also, you can take a walk, enjoy good dishes and be immersed in the magical mist… Is that wonderful? In addition, Sapa has both the diverse culture and natural landscape. These are the valley of rice terraces nine golden, floating clouds, beautiful mountains, and hills,… Special characteristics will definitely make your feelings more sublimated. 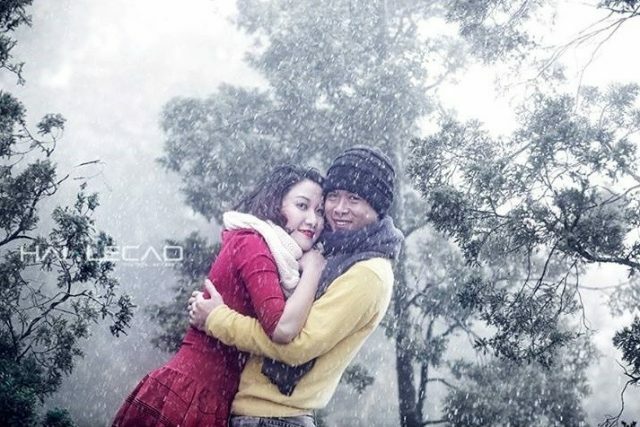 Then both of you can share memorable feelings when visiting Sapa! In conclusion, Sapa is worth named in top best places in Vietnam for couples. Located in Quang Ninh province, Ha Long Bay tourism owns over 1600 islands with astonishing beauty. Regarding Ha Long Bay travel, couples can book customize tours to enjoy the beauty of the island, the beautiful caves, romantic sunset on the bay and enjoy the fresh air of the morning. Ha Long Bay has blue sea water with gentle waves. Another, there are many famous caves here including the magnificent Thien Cung cave, the Sung Sot cave, the Sung Sot cave, the Dau Go cave, … Young couples will have the great time to explore natural places in this global wonder. Hanoi – the capital of Vietnam is well-known for many cultural and natural destinations to visit for couples. When you have a travel plan to Hanoi, remember to choose April time. Because Hanoi is one of 9 best places to visit in Vietnam in April. Today, we will recommend you some amazing ones that give best love moments for both of you. Ho Tay is like the “dating paradise” of the couples. Here, you will have very cool and comfortable space where you can be temporarily away from the crowded. Every street corner on West Lake brings a romantic and poetic beauty. Hanoi is famous for its beautiful and poetic streets. Especially, the beauty of them is changing with each season and each space. 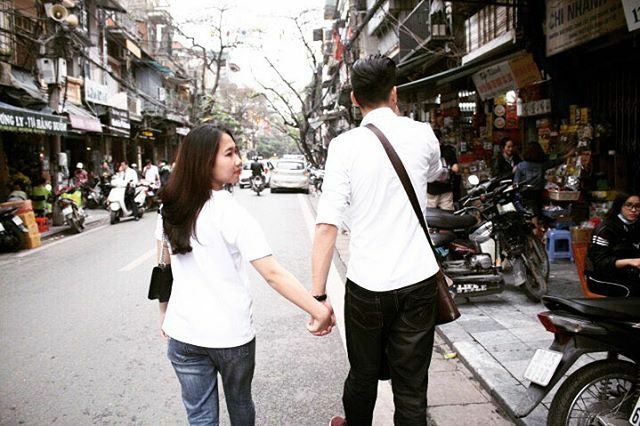 So different period of time brings the personal beauty of Hanoi for couples. In detail, Thanh Nien, Phan Dinh Phung, Hoang Dieu, Kim Ma … are considered the most beautiful roads, where are good for dating in Hanoi. 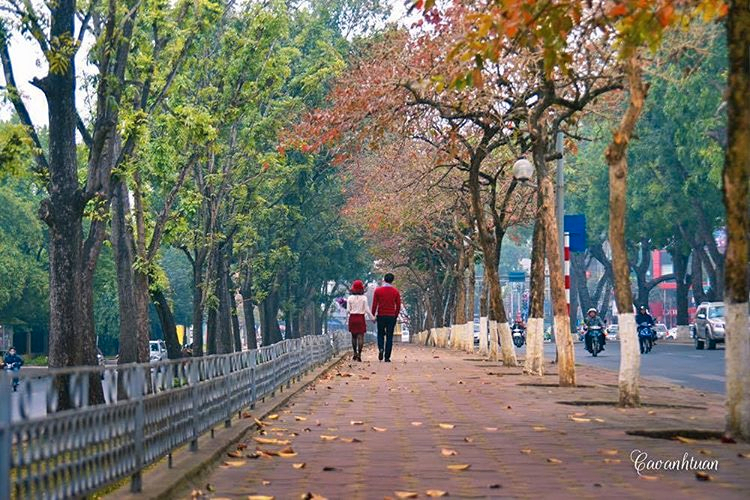 Together with your loved ones, walking hand in hand on the road and feel the romance are amazing activities in Hanoi. Couples can take vintage-styled photos that show the French architecture – a legacy of the capital. The gentle nature of the Perfume River and the romantic scenery of the river will be very helpful in having romantic memories together. It is two most beautiful sights in Hue. 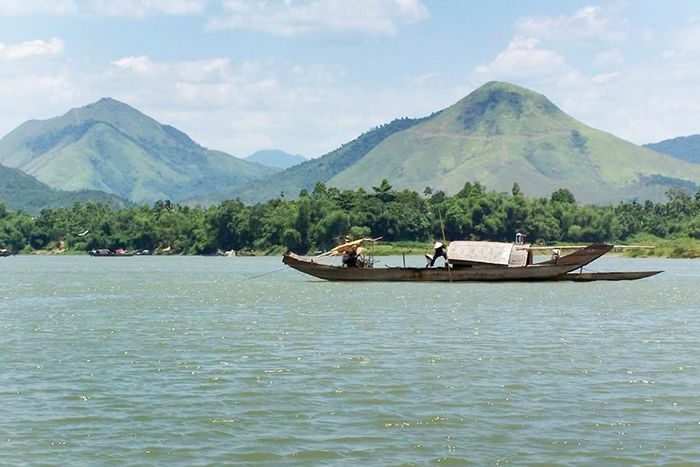 Ngu Binh Mountain has “natural beauty” with the combination of mountain and river. Hue is a beautiful city at night. On weekends, the Trang Tien Bridge stands out in vibrant colors in thousands of sparkling lights. Thus, many couples choose to walk on the Trang Tien Bridge. That makes them feel very relaxed and peaceful. Hoi An is a honeymoon destination that couples have often visit ed in recent years. When traveling to Hoi An, you will be on an exciting journey with fascinating sights and interesting culture. Both of you just love the tranquility with beautiful old houses, empty streets, charming dishes immediately. That surely brings the soul of Quang’s land full of new experiences to the couples. In addition, you can also immerse yourself in the blue waters of Cua Dai Beach, Hoi An. Or, If you go to Hoi An on the full moon day, you will be able to release lanterns and watch the Hoi An ancient town with your lover. Mui Ne which is a large and beautiful beach seems far 22km north-east from the central Phan Thiet. This place has become an attractive tourist destination with vast white sand hills and coconut trees soaring around the coast. 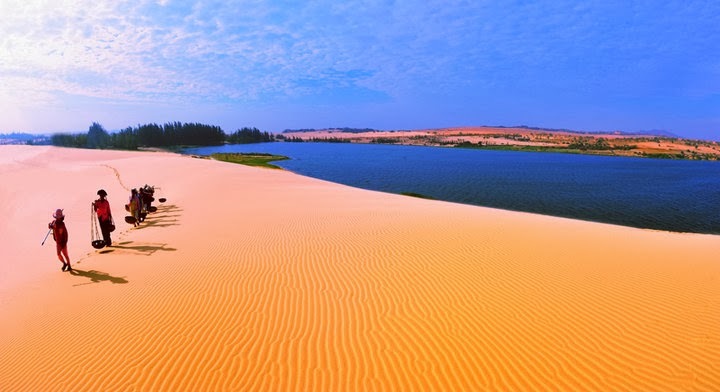 Moreover, Mui Ne possesses one of the most beautiful beaches in Southeast Asia with blue waters and wide sand dunes. That is the reason why it is called top best places in Vietnam for couples. Couples do not miss the ultimate experience in this Desert by the Sea such as walking on sand dunes, watching the sunset, and dawn at the sea. Also, both of you can be participating in sports such as kitesurfing, scuba diving or canoeing to see lotus flowers in Bau Trang, Bau Sen. If couples choose Dalat as their dating destination, this paradise of romance will surely not disappoint both of you. Not only is the flower city dreaming, Dalat is also the memorable city with the unique lifestyle in Vietnam. With a cool climate and romantic scenery, the “mist city” of Da Lat will certainly fill the trip with sweet things for the lovers. Many unforgettable moments in Dalat for you is hand in hand going through every corner, enjoying the beautiful scenery, or the hot coffee in cold weather together. Also, you can visit the strawberry garden and Lang Biang, the Valley Love – iconic destinations for romantic love. Con Dao is a district in Ba Ria-Vung Tau province. For many years now, this place has been an attractive tourist destination for domestic and international visitors. The beauty of the wild, romantic dream of this land has occupied the feelings of many couples. They arrived in Con Dao and recorded the beautiful moments of the beautiful sea. Con Dao is listed as top 12 amazing non-touristy places in Vietnam. The beach became a peaceful place for couples to have mutual love conversation. After playing on the dream beach, couples walk around Con Dao and enjoy the delicious seafood, play with lovely monkeys on the island. Especially, couples can enjoy amazing specialties such as Oc Vu Nang, moon crabs, red lobster, herbal jam… Indeed, it is not by chance that Con Dao has become a tourist attraction for couples to travel. A final destination for couples is Phu Quoc Island. Phu Quoc – The Pearl Island is famous for its stretches of white sand, clear blue beaches, suitable spaces for couples. Phu Quoc tourism is a tourist destination in the South that is suitable for all couples in all regions of Vietnam. 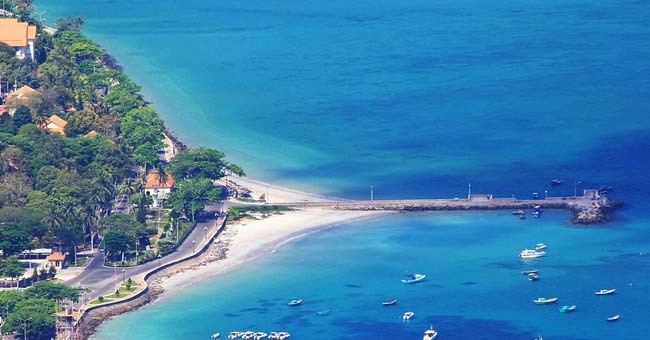 Places of interest include Mui Ganh Dau, Hon Thom, Dinh Cau, Tranh Stream, Da Ban Stream, Bai Dai Beach and Ham Ninh Fishing Village … In addition, couples also enjoy great moments when resting here under ranges of coconut trees. High-end resorts on this beautiful island is a wonderful place for couples to enjoy an interesting date. Phu Quoc will let you both immersed in the fresh air of the primeval forest and cool paradise scene on this island. You took her/his hands and welcome the sunrise, watch the sunset with a romantic scene or just hear the sound of sea waves whispering … Perhaps this wonderful experience will be memories unforgettable for couples. Above are our wonderful suggestions for best places in Vietnam for couples to visit. Don’t hesitate to take a wonderful trip with your lovers and feel the amazing world out there together. To get these feelings, let’s show your personal interest and book Asiawaytravel‘s customized tours to Vietnam.